This post is for all my green-lifestyle pet parents out there! I wanted to share a bit of useful information concerning pet-specific shampoo and how to find one that meets your pet’s needs. I learned the hard way the importance of pet-specific shampoo after I followed the advice of a popular green beauty blogger who recommended using Calia shampoo on pets. When I ran out of my pet shampoo, I foolishly decided to take her advice without doing my own research. My chihuahua mix, Belle, was unaffected but my Jack Russell, Ollie, developed extreme itchiness immediately after his bath that lasted a solid 2 days. I felt SO guilty to have put him through that but I learned a valuable lesson and it led me to write this post. I hope you find this information helpful! Disclaimer: This post is in NO way sponsored. There are no affiliate links in this post. All thoughts and opinions are my own (as always)! Our pets rely on their hair/fur for protection because their actual skin is extremely sensitive. Their skin can be so sensitive that even baby shampoos can be too harsh for them. Here’s a quick middle school chemistry refresher: On the standard pH scale, any value <7 is considered acidic while any value >7 is considered alkaline (or basic). A value of 7 is considered neutral. A human’s skin has a pH value of 5.5 while our pets’ skin has a pH near 6.5 – 7.5. In order words, a human’s skin is more acidic than that of a cat or dog. Skin Infections – Due to their acidity, human shampoos and s oaps strip away our pets’ acid mantle that is supposed to protect their skin. Without this protective barrier, bacteria, parasites, and viruses can flourish and ultimately lead to skin infections and/or wounds. 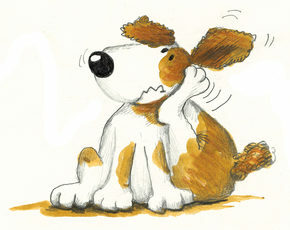 Dry, Irritated, Itchy Skin – Applying an acidic human shampoo to your pet’s neutral skin will cause burning and dryness. The more acidic the product, the worse this will be. When the skin becomes dry, your dog or cat will scratch at his/her skin, creating tiny abrasions that bacteria and germs can invade. This makes your pet that much more susceptible to skin infections. 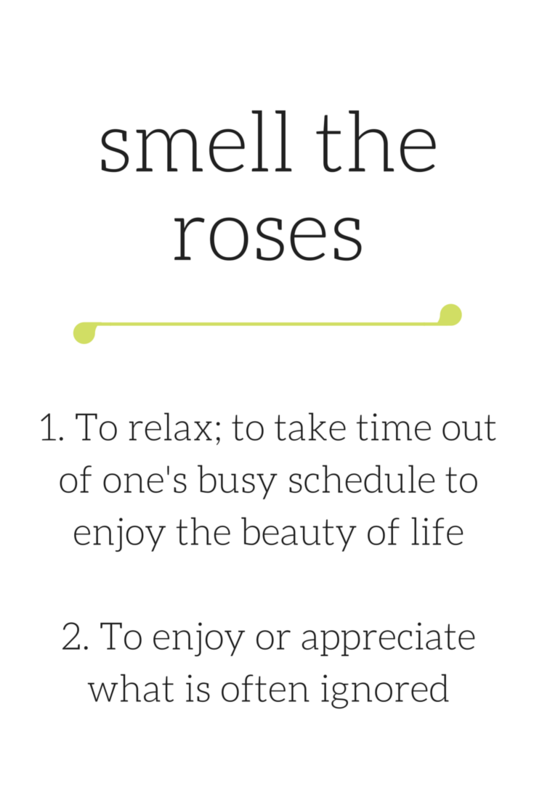 If you are a fan of green beauty and home products, you understand the multitude of benefits to a non-toxic lifestyle. If you wouldn’t use a chemical-filled product for yourself or child, why not do the same for your pet? I’m not saying you have to spend hundreds of dollars on your pet (although I totally don’t judge you if you do – I’m a passionate dog mom myself), but spending a little extra on a quality product will have nothing but a positive impact on your beloved pet! Look for pet-specific shampoos that advertise a neutral pH or state they are “pH balanced” for pets. Reputable brands will advertise this on the bottle or have the information listed on their website. 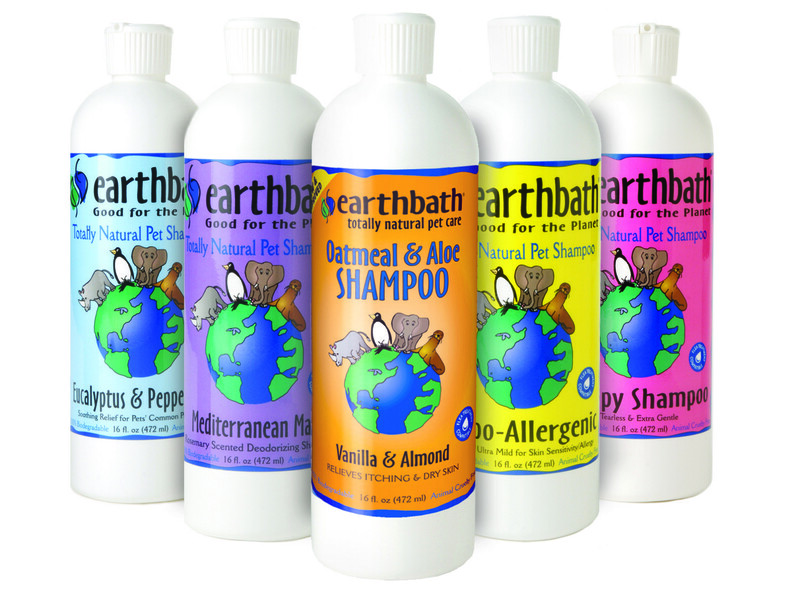 My favorite clean, vegan, & cruelty-free pet-safe shampoo is from earthbath! I doubt you will be surprised by this list of red-flag ingredients for pets because it overlaps with those for humans. Although the FDA claims these ingredients are safe in low doses, I personally find them unnecessary and choose to avoid them. Just like humans, pets can have varying degrees of skin sensitivity meaning no one shampoo will work for all pets. Also, our pets come in all sorts of hair and fur so it’s ideal to pick a shampoo that fulfills your individual pet’s needs. When picking a shampoo for my pets, I wanted something that met the same standards as the products I use on myself. That meant the shampoo had to be 100% cruelty-free and as natural as possible. After TONS of research, I decided on earthbath! #1 reason = it doesn’t irritate my pets’ skin and it leaves them looking/smelling super clean! offer up to 2.5 gallon jugs! 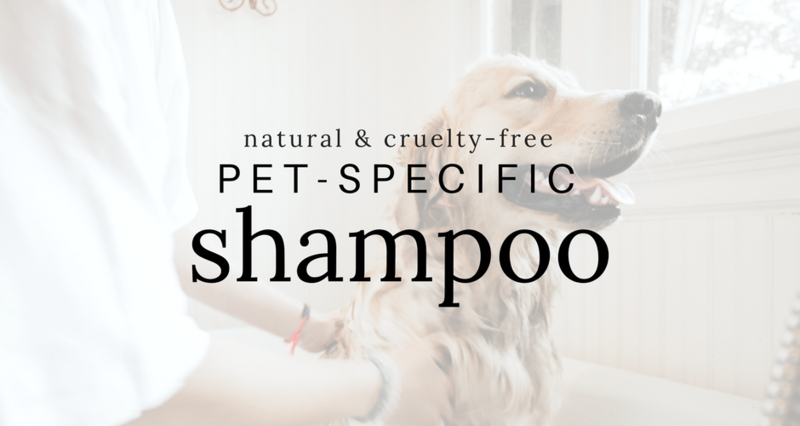 What natural pet-specific shampoo do you use? I would love to know! Leave me a comment or any questions in the comment’s section below. I hope you learned something new from this post!